What is it about our handmade mugs? What is it about our handmade mugs? 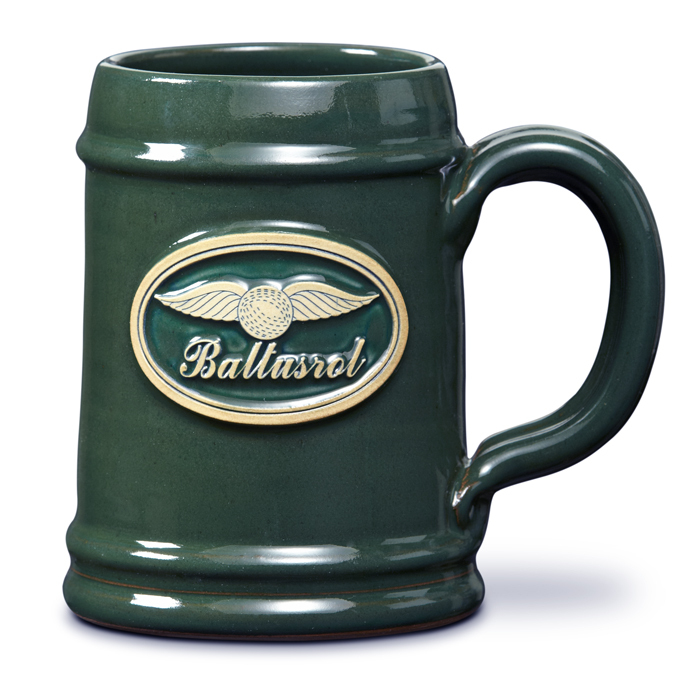 What is it about our handmade mugs? I’m just working on a hunch, but I think that one of the reasons our handmade custom mugs are so amazing, might be because of Peter Deneen. I recently had to update my father’s artist statement, which I had never seen, because the Guthrie Store is now carrying some of his one-of-a-kind pieces. 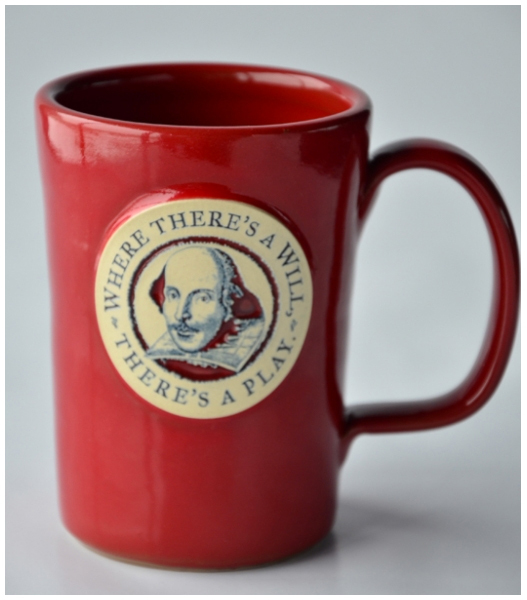 I should also mention that we have produced a mug for the Guthrie, pictured below is the Abby Mug 12 oz. in Red. Turns out Peter Deneen has been studying and working with clay for just about his entire adult life. Yes Deneen Pottery is now celebrating it’s 40th Anniversary, but my dad started working with clay when he was a freshman at Luther College. Peter Deneen received his B.A. degree from Luther College in Decorah, Iowa. While at Luther he studied pottery with Dean Schwarz and participated in seminars given by Marguerite Wildenhain. During interim projects he was involved in study/digs for Pre-Columbian pottery in Panama and Costa Rica. As a junior and senior, he won purchase and exhibition awards in the National Lutheran Student Art Awards Program sponsored by the Lutheran Brotherhood Society of Minneapolis. He completed his master’s degree at the University of Northern Iowa. Under the direction of Don Finigan, he pursued an exploration in the use of clay and polyester resins as a combined medium in an extension of the natural plasticity of clay into synthetic plastic. 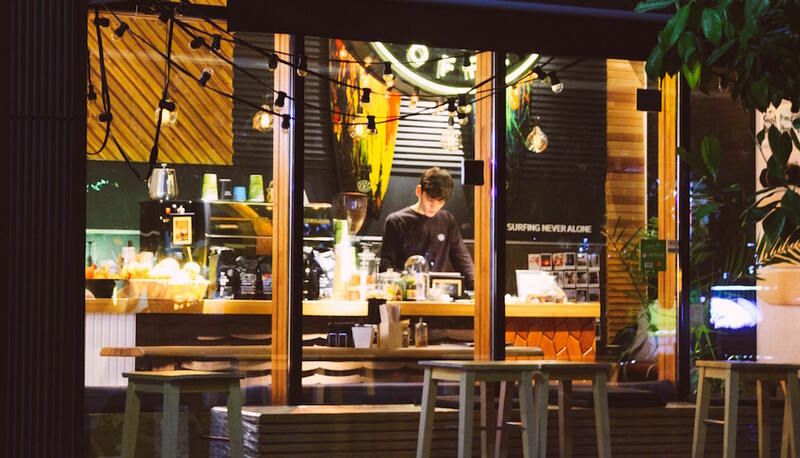 While teaching part-time at Hamline University in St. Paul, Peter opened and operated The Pottery Shop in St. Paul’s Park Square Court. During the summer months when the pottery suspended production, Peter was able to further his training and education. In 1971, he was Dean Schwarz’s assistant at South Bear Creek in Highlandville, Iowa. He toured the United States and Europe studying potteries and their production. But the most sustained activity during these times was his participation in the summer school operated by Marguerite Wildenhain in Guerneville, California. Wildenhain was one of the few remaining craftspeople that continued to further the traditions acquired at the Bauhaus in the United States. Steeped in the master/apprentice tradition of Europe, she attempted to transfer some of the same discipline of her training to her American students and protégés. 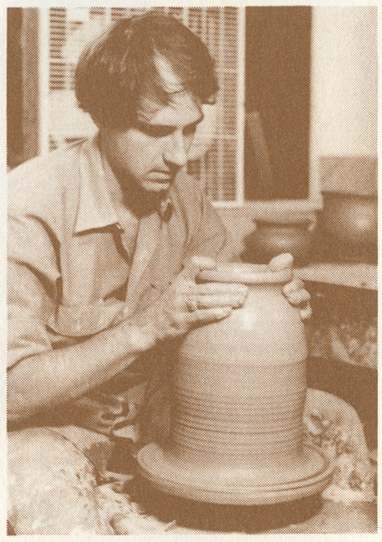 During the summer of 1976, Peter acted as one of Wildenhain’s assistants working with beginning potters and those students involved in production. As a result of his studies with Wildenhain, Peter was able to establish something unique to the American crafts scene. Those same principals are in use today with Deneen Pottery located in St. Paul, where 7 potters are working under his direction. The design sensibilites that exist in Peter’s one-of-a-kind works are echoed in the lines produced by his production pottery company. 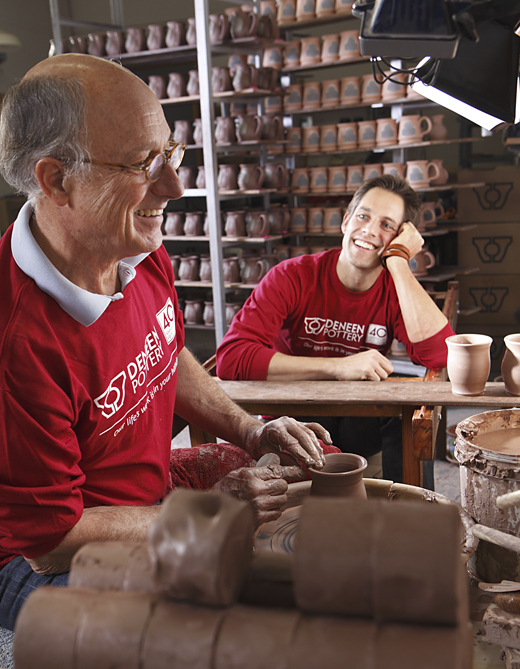 Here's me and dad goofing for the camera at Deneen Pottery the spring of 2012. When not directing his company Peter Deneen produces only his favorite pieces at his private studio in Maiden Rock, WI. Perched on a bluff overlooking Lake Pepin, Peter and his wife Mary work with stoneware clay, fired in either their electric or salt kilns. We are lucky to have his experience, design esthetic, ambition, and generosity guiding us as we produce the finest handmade stoneware for you. 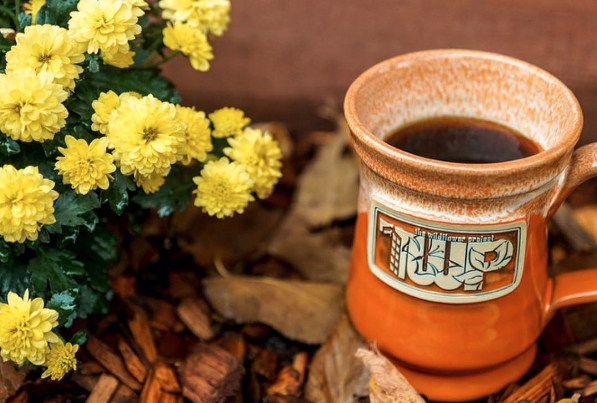 When you want to find the best mugs, find someone that has been making them for a lifetime, chances are you will be calling Deneen Pottery.